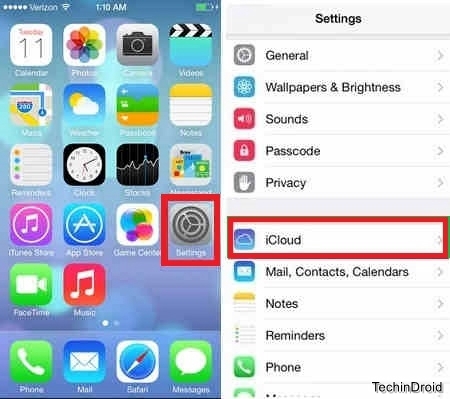 how to set up icloud on iphone 5 & 6 : iCloud is an Apple service that lets you share files and settings between devices. Each user with an Apple ID is associated iCloud account with 5GB of storage. You can use the iCloud storage to share pictures, music and other files between your devices and make sure you always have access to them. Step: 1 On iphone or iPad Open the “Settings“. It is located on the Apps/ menu screen. iCloud is enabled by default when you make the first configuration of the iPhone or iPad. You can use this method to change the account you’re logged in, set preferences iCloud synchronization or login if you decide not to do when you set up the device. Step: 2 Touch “iCloud”. You’ll need to go to the bottom of the screen to find it . Make sure your Apple ID shown at the top of the screen. If not, sign in with your Apple ID. 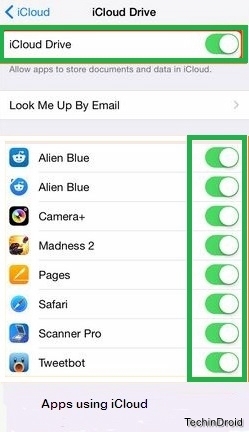 Step: 3 Choose which apps to sync with iCloud. ICloud lets you synchronize data with all connected devices. Select the iCloud service points you want to sync with iPhone. Check out this guide for details on what to sync. Step: 4 Returns to the “Settings” and select “iTunes & App Store“. Make sure the Apple ID shown at the top of the screen. If not, sign in to continue. Select purchases you want to automatically download to the device. This includes purchased music and applications. For example, if you buy a new album using iTunes on your computer, it will automatically be downloaded to the iPhone or iPad if the slider on the “Music” is enabled. 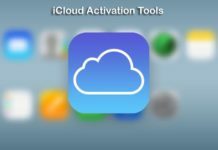 I hope this article help you with Set up icloud on iphone 5 & 6 by following above steps you can also do the same on iPad to Set up icloud.